pictures of poverty from around the world. 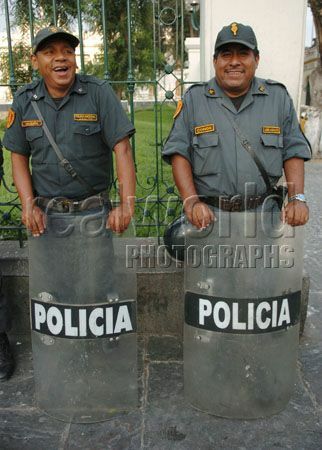 Two members of the military police share a laugh while patrolling a street in Lima, Peru, South America. Real World Video is an International Stock Video Footage Library containing hundreds of hours of digital video clips from around the world. Real World Image is an international stock photography library containing tens of thousands of royalty- free images from around the world. Real World Television is a forthcoming online video site featuring interviews, shorts and other kinds of clips all shot on HD. by Real World Photographs Inc.